The Saudi Jordanian Investment Fund (SJIF) and the Aqaba Special Economic Zone Authority (ASEZA) on Sunday inked a memorandum of understanding (MoU) to set up, develop and manage a new railway in Jordan. 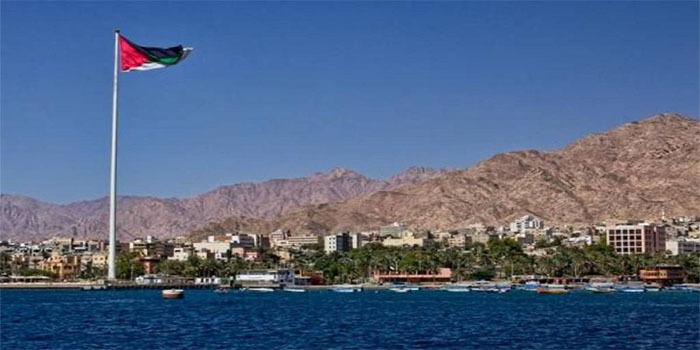 The JOD 500 million ($705 million) joint investment includes establishing a railway from Aqaba, on the Red Sea passing through the Israeli city of Eilat, to a future dry port in the Jordanian governorate of Ma’an, Arabian Business reported, citing a joint statement. This came as part of Saudi Arabia’s efforts to support the economy of the fellow Arab monarchy. After talks with the Jordanian prime minister Omar Al-Razzazin in January, the International Monetary Fund (IMF) said that “international donor support is more important than ever” for the monarchy. Running along a 195-kilometre track, the new railway will be transporting cargo containers to and from Jordan’s only outlet to the sea Aqaba and phosphate from the mines in Shidiya for export. SJIF holds a 90% stake in the Jordan-Saudi fund which was established in 2016, while 16 Jordanian banks hold the remaining 10% stake.